Horse racing can be one of the toughest sports to bet on, with a whole host of different variables that can affect the race. There are a lot more things to consider when you are placing a horse racing bet that you don’t need to think about when you are placing a bet on a different sport. For example, those betting on football don’t need to think about the surface at all, though the surface makes a huge difference to a horse race and how you approach it. It is this type of variable that makes horse racing betting different to other forms of betting, and why it requires its own set of rules in addition to standard gambling rules. Those who want to become better horse racing gamblers need to put hard work and effort into their betting; this doesn’t come easy to anyone. Things will be tough but to help you get started and to get you off to a successful start, here are three methods you should use to become a better horse racing gambler. 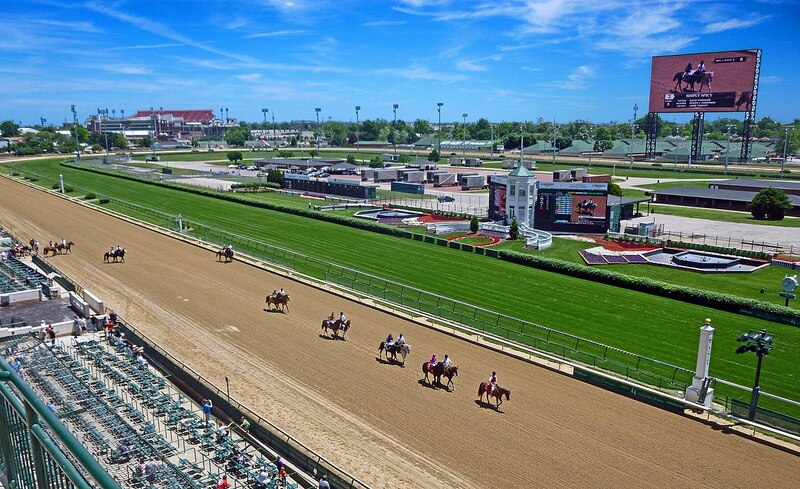 When you are looking at a horse race, you will always consider the full field during your time looking at the race. However, after you have narrowed it down to one horse you need to look at that horse in detail and work out whether it is a strong enough fancy to place your own hard earned cash on the horse. To do this, you should create a checklist of reasons to back the horse and see how many you can come up with. This is a gambling method used by Oddschecker in a recent article of theirs and it is one that a lot of people use. The reason behind using this is to make sure that you are placing a bet on a fancy that is strong. If you look at the race and pick a horse, but you only have one reason for backing it on your checklist, then you need to be asking yourself whether or not you fancy this horse strongly enough to put your cash down. If you have multiple reasons for backing the horse, then you have a strong case and you have found a horse that is worth backing. This will not work every time, of course, but it is a good way to work out if you have a strong fancy, and if the horse you have chosen is worth putting money on. When punters place a bet on football, hockey and many other sports, the use of stats is something that is very common. However, in horse racing stats are not used as much by punters, but this is wrong, and you should try to use stats as much as you possibly can Using stats is a great way to back up your decision to back a horse after you have chosen which horse you want to back. Trying to use stats when you are looking at the full field and working out which horse to back can be tough, and this is the reason why a lot of people stay away from them. However, when you have made your decision and you know which horse you want to back, using stats can be a great way to back up your decision and confirm that backing the horse is the right thing to do. Stats to look at should all be based around the horse in question, the jockey riding it, and the trainer who trains it. When looking at the horse look at stats that show you how successful the horse has been on the surface, over the distance or at the track they are running at. These are all great ways to back up what you have already decided. When looking at these stats, be sure to get them from a place that you trust and one you know will have all the info you need, like the Racing Post which has horse, jockey and trainer stats updated on a regular basis. When you are looking at trainer and jockey stats, look at their performance at the track or their performance in the particular type of race that you are looking at. All of this can be slightly confusing when you are looking at the entire field but, when you are looking at just one horse, in particular, these stats are all easy to look at and they can cement your decision to back a horse. An underrated quality that many punters fail to look at is the betting market. This is a vital last check when you are looking to back a horse, and it is important to follow how the market moves as much as you possibly can. This is both negative and positive moves and they can give you the last bit of confidence you need to either back or not back a horse. Like using stats, following the betting market for patterns with every single runner in the race is almost impossible to do, especially in big fields, so it is something you should only do when you have narrowed it down to just one horse. That shouldn’t always be the favourite either, although some theories do suggest that backing the favorite is a profitable method for punters. If you make your pick in the morning, be sure to follow the betting markets as much as you can throughout the day, look for your horse drifting to be a bigger price, or look for it contracting and coming down in price. Market strength can be a sign of many different things, which include stable confidence, tipster confidence and general public confidence. These are all worth noting, especially the first two because if a horse is being backed by the stable or by a tipster then this will usually be a person who is in a better position to judge than you, and someone who knows more than you do. You should always look out for horses that drift just as much as horses that contract in price, as this too can be a sign of something to follow. If you know a horse comes from a yard that likes to bet their horses and the horse is drifting in the betting, that is likely an indication to you that the horse is not fancied, and when you see this you should question whether backing the horse is the right decision to make. Sometimes the best thing to do in this situation is to lower your stake as you are no longer as confident because of the betting markets. The betting markets can tell you a lot about a horse’s chance, but it is only worth following these after you have narrowed the race down to one selection. Watch for movements on the price, both positive and negative and these will help you decide whether to back a horse at all, or whether to change the stake you are putting on.